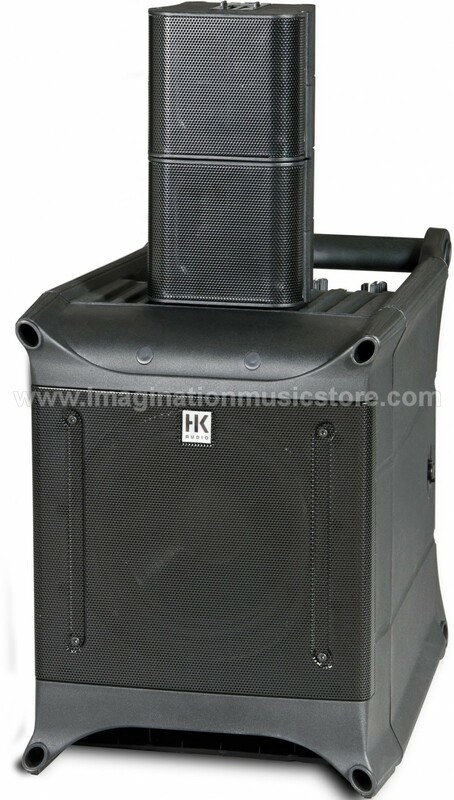 HK Audio Lucas Nano 300 is a 2.1 portable PA system consist of 2 satellites with 3.5' broadband woofers , and an 8" subwoofer with 230W power amp built-in. 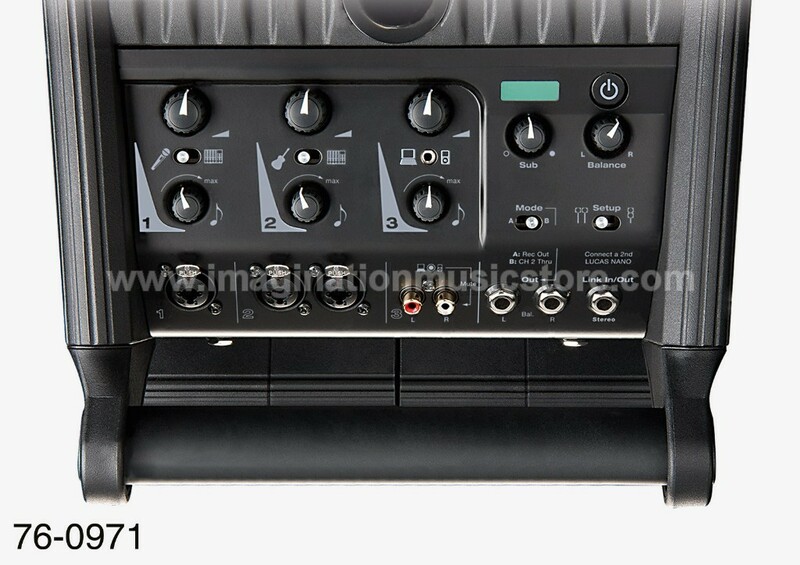 It is configurable in both mono or stereo system, has integrated mixer that accepts various kind of input jacks, designed to be very compact, and weighs only 10,3kg. 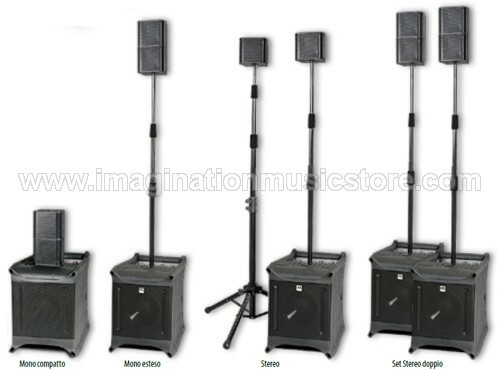 Lucas Nano 300 perfect for anything from home theater system, music studio, to cafe, and similar sized venue, and best for public address, personal PA for solo musicians, mobile band and DJ performance. Probably the world’s smallest and lightest mulit optional sound system, LUCAS Nano 300 is the go-to rig for an impromptu jam session with an acoustic guitar and vocals, a champagne reception in a lobby, and a backyard cookout to catch the World Cup final with all your friends. It travels light in one hand and practically disappears once it’s set up. A keyboard, mic, acoustic guitar, and an MP3 or CD player can be plugged straight in, so you’ll rarely need an external mixer. Link mode connects two NANO 300s to create a powerful twin stereo set. The two mixers are linked to put twice as many channels at your fingertips. LUCAS NANO 300 turns every a party into a performance! LUCAS NANO 300 offers a wide range of ports for nearly every conceivable source from keyboard, mixer, microphone and acoustic guitar to an MP3 or CD player. Two Lucas Nano 300s can be doubled up to create a more powerful stereo system. The two mixers communicate via the link cable, giving you twice the output power and number of input channels. 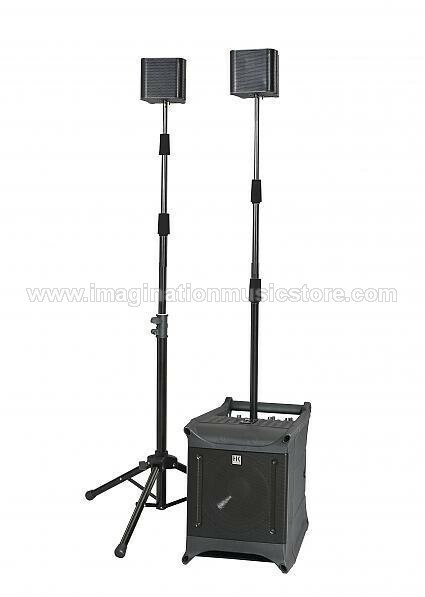 This tripod set consists of two mounting poles, a tripod and two speaker cables. Travel bag and two Velcro cable ties are also included. These two dual-purpose tabletop tripods/wall mounts let you set mid/high units on a horizontal surface and mount them on walls. Two speaker cords are included.